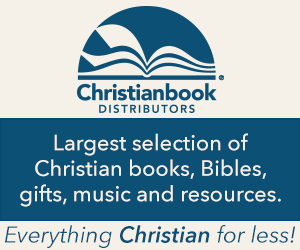 I participate in the Affiliate Program of Christianbook.com. Alongside each book review, a link will appear. If you click on the link, you will navigate directly to the Christianbook.com website where you can purchase the book. No additional cost will be added to you if you decide to purchase the featured book from my affiliate website. If you do purchase a book, music CD, or another product from my affiliate link, I will receive a small affiliate fee. Building this affiliate link into my blog, helps me cover the annual costs associated with maintaining this blog. I decided to go ahead and try this since I do read and review so many books. After serving 20 years as a librarian, I feel this is a natural extension of my experience with literature and technology. When I accept advanced reader copy books to review, I am in no way required by the publisher to write a positive review. In addition to an honest review of a book, when possible I will include recommendations to similar authors. This would be a service I could offer readers to help them find their next great book choice.